Adeola A. Abayomi, MD, is an obstetrician/gynecologist at MedStar Montgomery Medical Center who tends to the unique needs of women of all ages, offering services that include routine care as well as specialized care for a variety of conditions. Before joining MedStar Montgomery, Dr. Abayomi spent seven years at the Kaiser Permanente Medical Center in northern Virgina, where she worked as part of a large multidisciplinary team providing a full range of obstetric and gynecologic services to residents of the region. 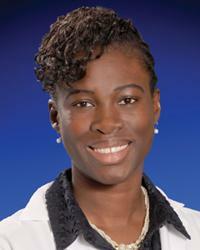 Dr. Abayomi earned her medical degree at Case Western Reserve University School of Medicine in Cleveland, Ohio. She then completed an internship and residency at Stamford Hospital in Stamford, Connecticut, where she served as chief resident in obstetrics and gynecology during her final year. She is board certified and a member of the American Board of Obstetrics and Gynecology.